Fujifilm has been gaining an enviable following with their X Mount range and now have released two compact prime lenses that evoke the form factor of the traditional rangefinder lens. The first of these to be reviewed is the 23mm f/2, the second is the 50mm f/2. Both are compact, weather resistant and are ideally matched with the X-Pro2 used in this review. Let's see first how the 23mm f/2 works out in practice and how it performs. 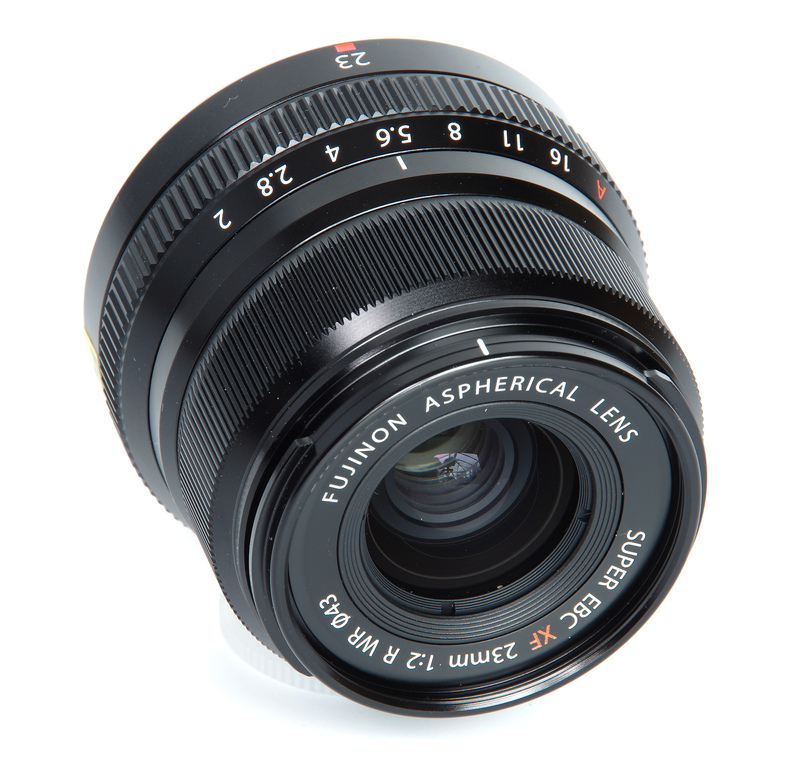 This delightfully compact lens weighs in at a modest 180g. It looks as though it could be at home on any classic rangefinder camera body, and it is easy to see how this style of optic and the Fujifilm X-Pro2 could appeal to those who have previously used Leica or Voigtlander cameras. Could this be a perfect combination for the purist street photographer? Starting at the front of the lens, we have a small but effective bayonet lens hood, surrounding a very small 43mm filter thread. Immediately behind this, we find the manual focus ring, which operates electronically. It is nicely damped, although it is perhaps a pity that it has no function when the camera is set to AF. 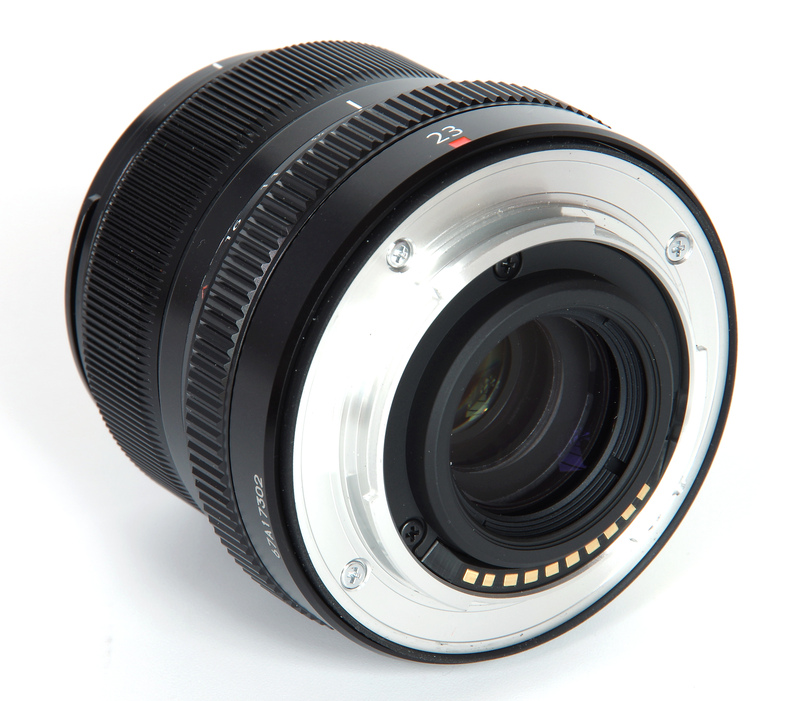 The lens is multi-coated, using Fuji's Super EBC Electron Beam Coating. The only other control on the lens is the aperture ring, a very solid affair that feels quite superb in its action. It clicks smoothly into place in third of a stop increments, ending with an A setting that can be used if the camera is to control the aperture. Different cameras and lenses can suggest different techniques, and here it was found to be most convenient to use the aperture ring on the lens. Apart from anything else, there is a certain tactile pleasure in operating a lens that feels like a traditional, metal, quality optic. Focusing is down to 22cm, a maximum magnification of 0.13x. This proves to be reasonably close, but nowhere near macro distances. Optical formula is 10 elements in 6 groups, with two of these elements being aspherical. The diaphragm has 9 blades, rounded to improve the bokeh. Finally, construction is weather resistant, always a bonus. The quality of finish is superb. There is nothing else adorning the lens, which is simple and straightforward in operation. 23mm on APS-C has a 35mm-equivalent value of 34.5mm, almost exactly the 35mm “wide standard”, used by generations of reportage/street photographers as a lens of choice. Purist street photographers may well find the lens and X-Pro2 to be a compelling choice. The combination has an instinctively good feel about it, an indefinable quality that we know when something fits perfectly. Looking first at the resolution results, we see some very impressive figures. Centrally, sharpness is outstanding from f/2 right through to f/11. It remains excellent at f/16, which is an amazing performance. The edges show slightly lower figures, as we might expect, but results are excellent from f/2 to f/11 and still very good at f/16. Basically, all apertures give totally satisfactory sharpness, both centre and edge, and it is hard to imagine a performance that could be significantly better. Bokeh with wide lenses is not so marked as with longer lenses, so even with rounded aperture blades, the effect is not dramatic. The bokeh is not over fussy and out of focus areas are handled well without them being exceptional. The results generally though are exceptional, and optically, albeit it perhaps with some software assistance, we have here a superb lens. It also has an attractive rendition, an abstract concept maybe, but the “look” that images have that show the “character” of a lens. This is something less tangible that cannot be measured, but more an aesthetic comment. 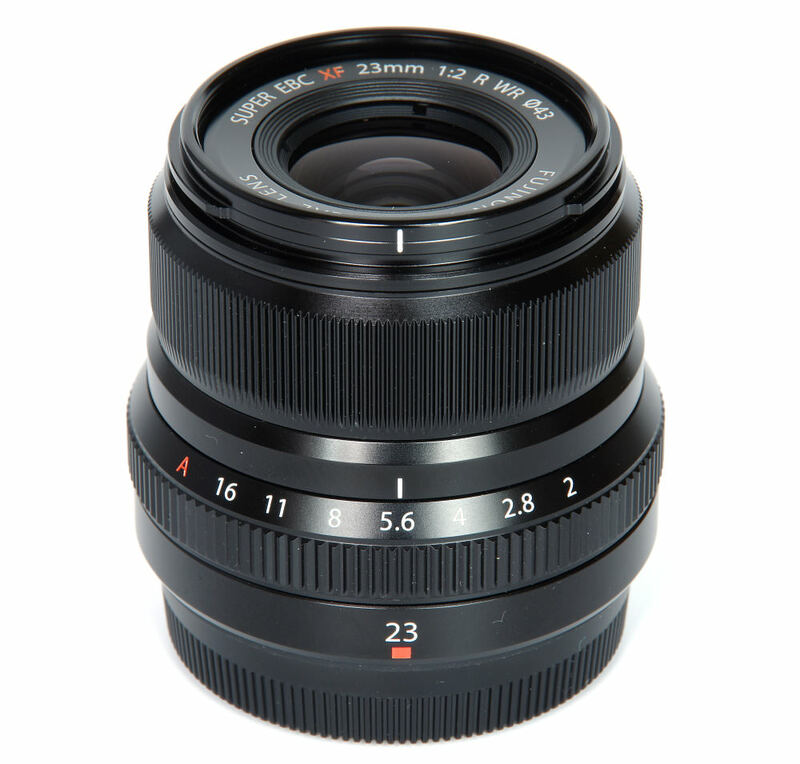 The Fujinon XF 23mm f/2 R WR lens is priced at £419, which seems to be a reasonable cost for a high-quality prime lens. 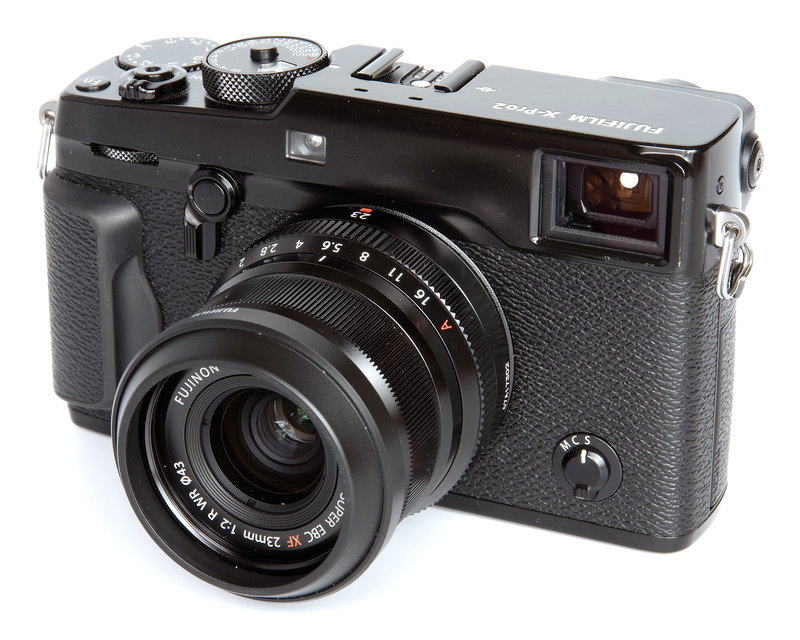 The Fuji X alternative is the faster and bulkier Fujinon XF 23mm f/1.4 R, costing £748. Other marques have their own priorities, but perhaps the closest in APS-C lenses is the HD Pentax-DA 21mm f/3.2 AL Limited lens at £429. To put it in perspective, alternative 35mm f/2 lenses for 35mm format DSLRs suggest the Fuji is well priced and good value for money. Examples are the Canon EF 35mm f/2 (£469), Tamron 35mm f/1.8 SP Di VC USD (£599), Nikon 35mm f/1.8 AF-S G ED (£449) and the SMC Pentax-FA 35mm f/2 (£549). 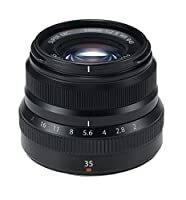 The Fujifilm Fujinon XF 23mm f/2 R WR gives a sparkling optical performance, compact size, weather resistance and high-quality manufacture, which all inspire confidence in this Fujifilm lens. Absolutely worthy of an Editor's Choice award. 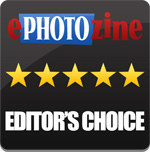 Outstanding sharpness and almost faultless optical qualities combine to make this a very attractive lens for Fuji users. Quote:Sadly, it does not offer manual focus during AF operation. A correction, there is a custom setting that does enable full time manual focusing in AF. Its default appears to be "off". When switched on it works as expected and allows manual tweaks to the AF focus position.